Paperless Pipeline automatically extracts zip codes from transaction names for subsequent reporting and searching. 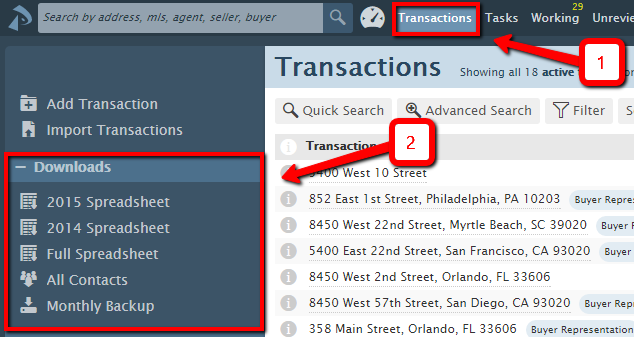 Enter a property address in the transaction name field. If the last 5 characters of a transaction's name are all digits and are preceded by a space, that zip code will automatically be associated with that transaction. Click one of the spreadsheet download options from the left menu. The downloaded spreadsheet will include the zip code field, allowing you to sort and filter on it and any other fields, as desired. 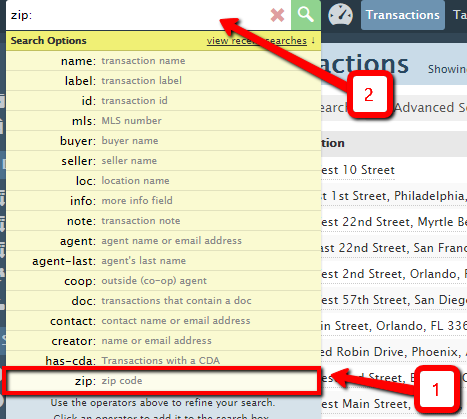 From the search box, select the "Zip Code" search operator. Enter the desired zip code, then click the [Magnifying Glass]. Pipeline will return all transactions that are associated with that zip code. Old transactions will not be associated with a zip code unless the transaction is re-saved.